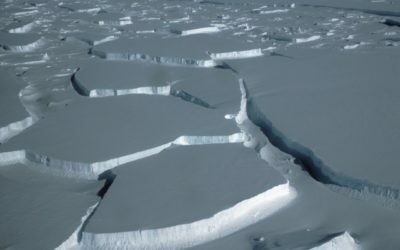 Scientists have discovered a one mile deep rift valley hidden beneath the ice in West Antarctica, which they believe is contributing to ice loss from this part of the continent. 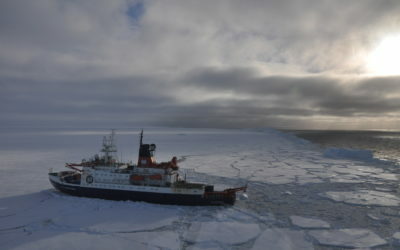 Experts from the University of Aberdeen and British Antarctic Survey (BAS) made the discovery below Ferrigno Ice Stream, a region visited only once previously, over fifty years ago, in 1961, and one that is remote even by Antarctic standards. Their findings, reported in Nature this week reveal that the ice-filled ancient rift basin is connected to the warming ocean which impacts upon contemporary ice flow and loss. The West Antarctic Ice Sheet is of great scientific interest and societal importance as it is losing ice faster than any other part of Antarctica with some glaciers shrinking by more than one metre per year. Understanding the processes that influence ice loss from West Antarctica is important to improve predictions of its future behaviour in a warming world. Dr Robert Bingham, a glaciologist working in the University of Aberdeen’s School of Geosciences and lead author of the study, discovered the rift valley whilst undertaking three months of fieldwork with British Antarctic Survey in 2010. 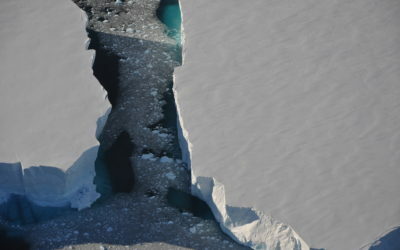 Dr Bingham, whose fieldwork was funded by the UK’s Natural Environment Research Council (NERC) said: “Over the last 20 years we have used satellites to monitor ice losses from Antarctica, and we have witnessed consistent and substantial ice losses from around much of its coastline. The team gathered the data using an ice-penetrating radar system towed behind a skidoo driven across the relatively flat ice surface, over a distance of 1500 miles — greater than that between London and Athens. Dr Bingham continued: “What we found is that lying beneath the ice there is a large valley, parts of which are approximately a mile deeper than the surrounding landscape. “If you stripped away all of the ice here today, you’d see a feature every bit as dramatic as the huge rift valleys you see in Africa and in size as significant as the Grand Canyon. “This is at odds with the flat ice surface that we were driving across — without these measurements we would never have known that it was there. 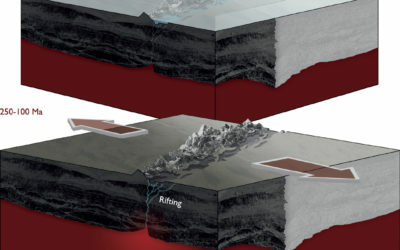 Co-author and geophysicist Dr Fausto Ferraccioli from British Antarctic Survey added: “The newly discovered Ferrigno Rift is part of a huge and yet poorly understood rift system that lies beneath the West Antarctic Ice Sheet. 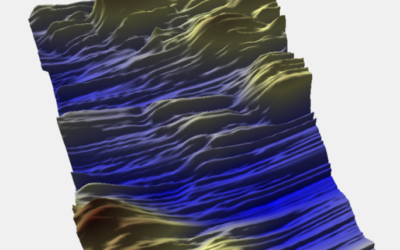 The research in Nature is part of the British Antarctic Survey Icesheets Programme, which examines the role of ice sheets in the Earth System, and the processes that control ice-sheet change. It monitors current change and sets this in context with the past allowing more accurate projections for increases in global sea level to be made. A 4 minute narrated animation showing that the current pattern of ice thinning observed in West Antarctica is inherently influenced by geological processes over millions of years. A 1 minute movie of the ice-penetrating radar survey being undertaken on one day of the three-month field season. The weather and surface conditions are typical of the region. Stunning broadcast-quality footage and stills of the team working on the Ferrigno Ice Stream in Antarctica, are available from the BAS ftp site. Inland thinning of West Antarctic Ice Sheet steered along subglacial rifts by Robert G. Bingham, Fausto Ferraccioli, Edward C. King, Robert D. Larter, Hamish D. Pritchard, Andrew M. Smith, David G. Vaughan is published in the journal Nature. a linear-shaped lowland between highlands or mountain ranges created by the action of a geologic rift or fault. This action is manifest as crustal extension, a spreading apart of the surface which is subsequently further deepened by the forces of erosion. a ‘river of ice’ fed by the accumulation of snow. Glaciers drain ice from mountains to lower levels, where the ice either melts, breaks away into the sea as icebergs, or feeds into an ice shelf. the huge mass of ice, up to 4 km thick that covers bedrock in Antarctica or Greenland. It flows from the centre of the continent towards the coast where it feeds ice shelves. The Natural Environment Research Council (NERC) is the UK’s main agency for funding and managing world-class research, training and knowledge exchange in the environmental sciences.  It coordinates some of the world’s most exciting research projects, tackling major issues such as climate change, environmental influences on human health, the genetic make-up of life on earth, and much more. NERC receives around £320 million a year from the government’s science budget, which it uses to fund independent research and training in universities and its own research centres.